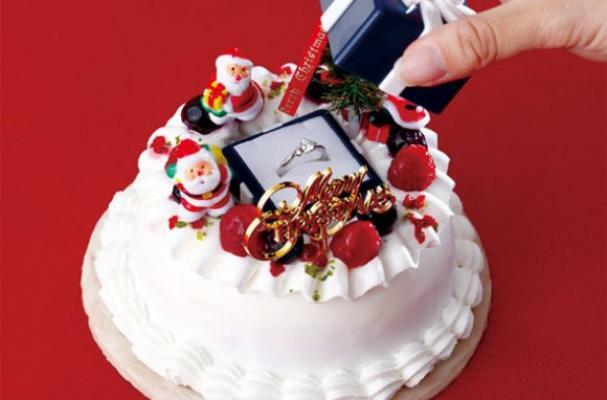 Japanese jewelry store, i-primo, and Cold Stone Creamery have paired together to come up with a cool way to propose. Their Christmas cake is a blend of tradition and creamy goodness; typically Japanese families enjoy strawberry shortcake for the holiday, but this version is a twist, made entirely of ice cream. Placed in the center is the diamond ring box as well as a voucher for any type of ice cream from Cold Stone Creamery. But if you're looking for a unique way to propose, the offer is only available to the first 100 who purchase an engagement ring. For another food-filled engagement idea, check out the Pizza Hut Proposal Package.